Want farmers to cut chemical pesticides? Get consumers to eat organic! 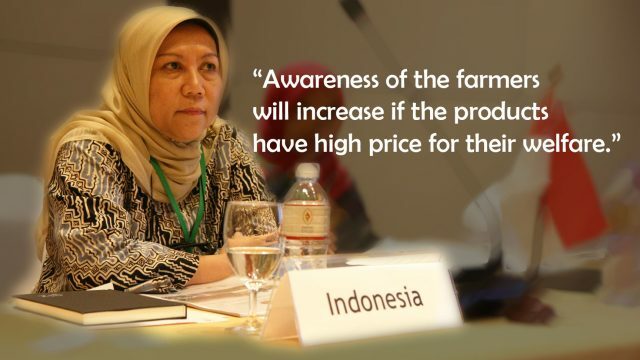 Farmers will use fewer chemicals when consumers demand safer produces, says a senior officer of Indonesia. Farmers in Indonesia cannot live without chemical pesticides and fertilisers, Sri Wijayanti Yusuf from Ministry of Agriculture shares with ASEAN Sustainable Agrfood Systems during its recent Steering Committee Meeting in Thailand. “In Indonesia farmers spray chemicals even though pests are not at present. They believe that if they do not spray, the pests will come. Using chemicals make them feel better. If they spray, they can sleep well. So they spray every two days,” says Ms. Yusuf, an Executive Secretary for Directorate General of Horticulture. “But, we need to go back to nature to sustain the agriculture for the future, for better earth, and better life,” says Ms. Yusuf of Directorate General of Horticulture. 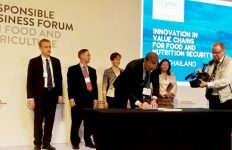 Indonesia has been promoting sustainable agriculture and sustainable food systems due to its concerns over environment and population health. The organic village has started three years ago in 2014. The goal is to promote organic agriculture and make farmers more aware of the environmentally friendly practice. In each organic village, it contains one demo field to get farmers gain direct experiences and see the economically feasible evidence to alter their mindset from practicing conventional farming to the green agriculture production. 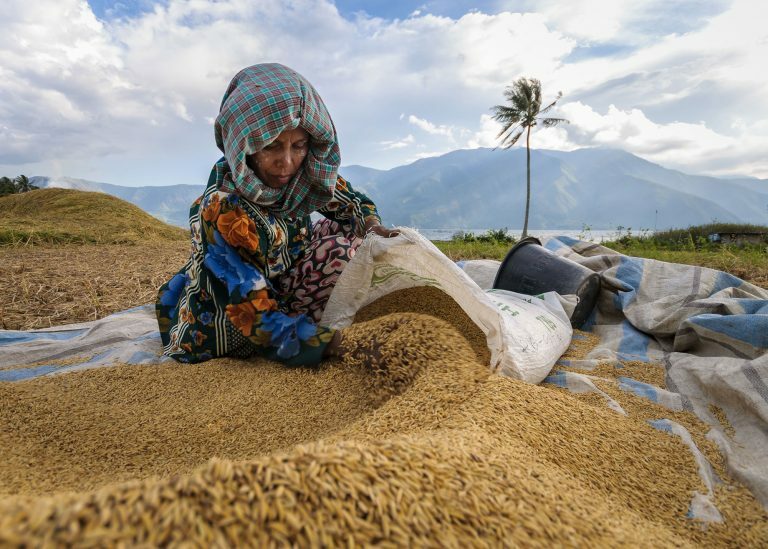 There are about 200 organic villages in the main centre of agriculture in Indonesia. The Government also sets up an integrated pest management (IPM) clinic in each organic village to train farmers to produce and apply biocontrol agents for crop protection and bio-fertiliser to eventually become an organic community. However, Ms. Yusuf says only some farmers apply it. “Not so many farmers believe in organic method because the bio-pesticide and fertiliser does not create quick affect when compared to chemical pesticide and fertiliser. 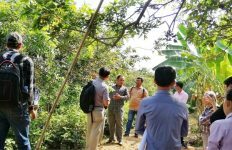 We have farmers visiting the organic village, they see it with their own eyes, but when they apply the biocontrol input, they find it difficult because they want fast results. It is difficult when farmers only think about the production, which concerns the money they get. “It is very difficult, especially in the centre area of the horticulture crop. Because the horticulture crops need more money to produce, and that farmers spend money for production, they have to guarantee that the production is working. That is why they use the pesticide so often. “This is the obstacle that we are facing until now. “We have been doing training in integrated pest management for 10 years, but the change is very slow. Ten years has been a long time, but as long as farmers want the quick effect that they spray today and expect that there will be no pest tomorrow, it will not be easy. “But, farmers have to be encouraged more and more, and sustainable agriculture must be continuingly promoted to all stakeholders,” says Ms. Yusuf. 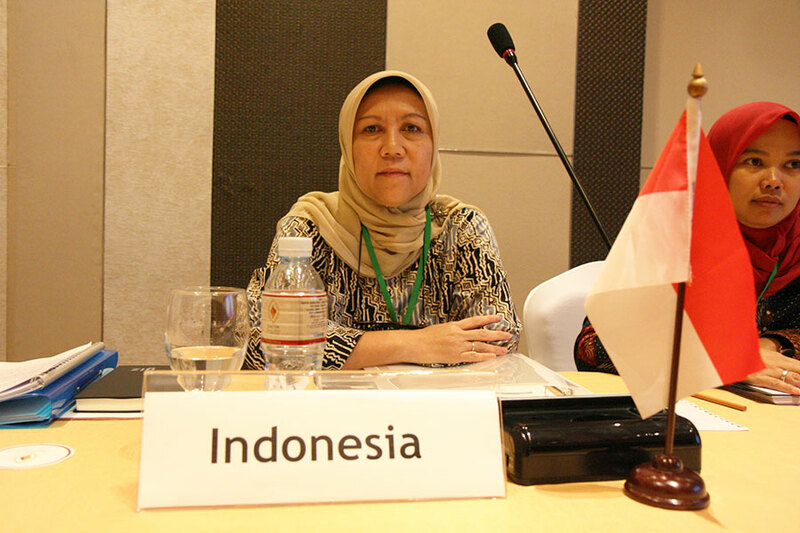 In Indonesia, food security is a pressing issue, accordingly Ms. Yusuf. Indonesian Government now focuses on the main food like rice, bean, and maize, and for horticulture the focus is on chili and shallot. 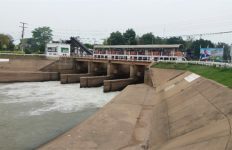 “The problem is to fulfill the demand of the national consumption. We have to increase the production. The Ministry will have to seek the technology to increase the productivity. And we need more land. Land is more and more limited because more and more people are coming to earth, but land is never being added. However, accordingly to Ms. Yusuf, Minister of Agriculture in Indonesia only concentrates in giving training, and promoting organic farming to farmers. “What about the consumers? We forget that the consumer is there and they should know very well about this. Because the numbers of consumers are more than the numbers of farmers so the awareness of the public should be increased first,” she says. Ms. Yusuf says that when an organic demand is created among consumers, farmers will be seeking to produce organic produces. “We have to do more and more promoting on sustainable agriculture, as it means welfare and environment, welfare for the farmer who produce it, and at the same time, environment, and the health of the people. These things should be promoted together, not only focus on farmers who produce it because environment is not the task of farmers but the tasks of everyone. “Consumers must think about their health, and the environment. They have to change their mind about the produce they eat. If they are already aware, they will try to buy the organic products. If the market is there with the higher price for farmers, farmer will produce it. If there is no better price, what incentives for farmers to switch for organic farming? “Awareness of the farmers will increase if the products have high price for their welfare. “But, what institution should be responsible for the public for the awareness increases? I do not know: Media, social media, association, NGO, or the government? “It is more than agriculture. It is everybody,” says Ms. Yusuf.